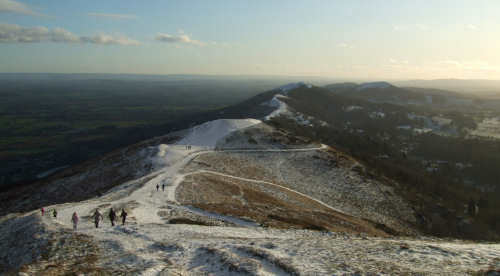 The Malvern Hills form an area of outstanding natural beauty straddling the counties of Herefordshire and Worcestershire in the UK. The surrounding towns and villages that make up the Malverns are both picturesque tourist destinations and vibrant local communities; including Great Malvern, Malvern Wells, Little Malvern, Malvern Link, West Malvern, and Colwall. The Malvern Hills are famous for diverse reasons too - from the stunning hill walking and the source of Malvern spring water, the inspiration of CS Lewis' opening description of Narnia, the life of celebrated composer Elgar, the home of the Morgan Motorcar Company, through to the invention and development of Radar, Liquid Crystal Displays and Touch Screens. Malvern Beacon is the definitive on-line gateway for people living in, working in, or visiting the Malverns and the Malvern Hills. If you are a professional in the Malvern area, why not join our LinkedIn group Malvern UK?